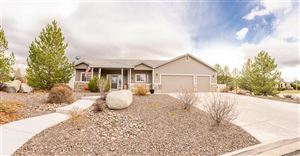 These homes are large homes on one plus acre or more lots. The community is located in the northern area of Sparks with easy access off of the Pyramid Highway. Most lots will accommodate RV parking garages, although not all lots had them added. View all current Pebble Creek homes and lots for sale on a map. Listing courtesy of Far West R & C Sales/Mgt. Co.